When new is almost as good as used. 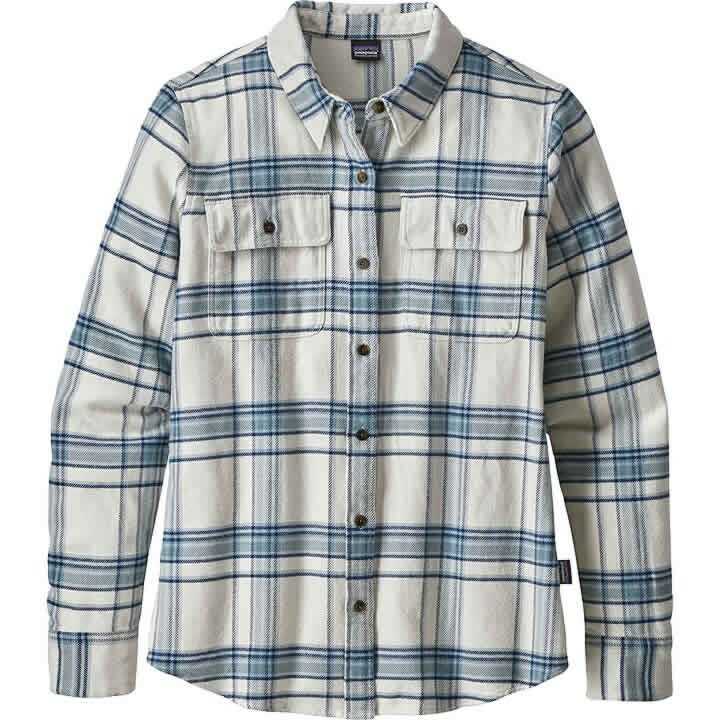 Organic cotton makes this flannel feel like it's been (and most likely will be) worn for years. Traditional flannel-shirt styling has button-front placket, chest patch pockets with button-flap closures and buttoned cuffs. The relaxed fit is hip length, with a straight hem and side slits. Featured in beautiful plaids and blanket stripes, this classic layer can be paired with jeans and skirts or aprs-hot tub, thrown over a wet bikini.